If you've ever imagined what the opening scene of A New Hope would have been like if Darth Vader had boarded the Tantive IV ahead of the Storm Troopers, then Imperial Assault is the game for you. And so, after writing a series of posts about the miniatures of Star Wars: Imperial Assault, it's time to take a look at game itself, and how the rules stack up against some of its competitors both ancient (Rogue Trader, Spacehulk) and modern (Saga, Bolt Action). Imperial Assault is interesting in that it can be played in a campaign mode (in which 2 opposing players play through a scripted set of encounters with ever-improving characters); and in a skirmish mode (in which 2 opposing players play a one-off battle against each other using custom built armies). After playing both the campaign and the skirmishs, I've found that the skirmish mode is much more fun, so that's what I'll focus on for this review. Since the battlefield is constructed out of a set of tiles (rather than a large, free-standing table top), the set-up is quick and doesn't occupy a lot of space. In this sense, the game is like Space Hulk, rather than Warhammer 40K. It helps that the tiles are so detailed, featuring artwork that's very evocative of the Star Wars Universe (much thanks to illustrator Henning Ludvigsen). 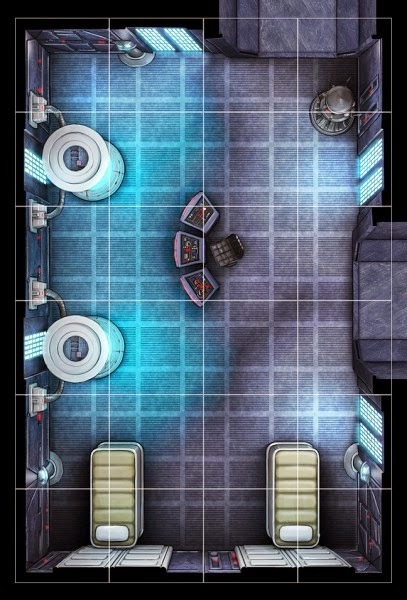 The tiles also have an important influence on the game-play: they frame a compact battlefield, leading to games where violence and drama start right away. Customization is another element of Imperial Assault that I enjoy. You build your army by assembling miniatures (whose point cost and abilities are set out on illustrated "activation cards") -- and then you build a second deck of special abilities (called "command cards") that you will get to play against your opponent throughout the game. Such cards might let you heal, hide or activate a character's special powers. The synergies are endless. Yet it's an easy system without book-keeping or army lists. Altogether this system furnishes great scope for new strategies and to experimentation. 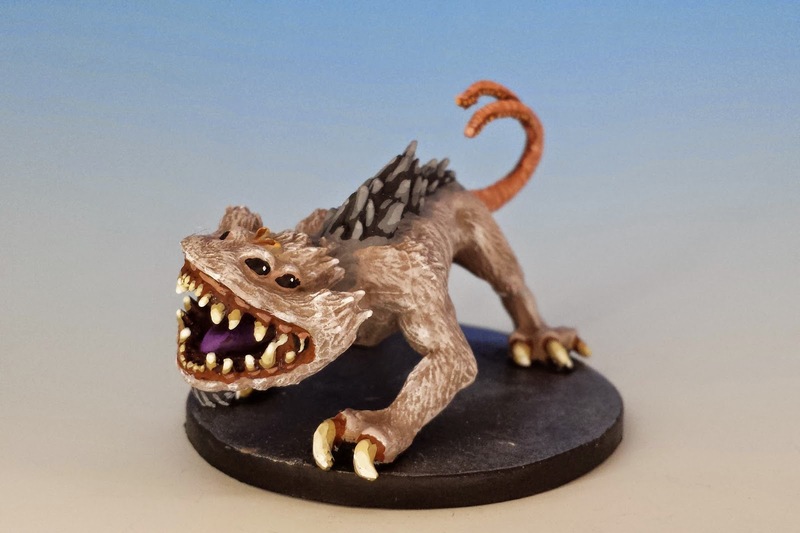 This customization gets at the heart of something that Fantasy Flight Games has made into an art form: creating a dead simple rule set, but adding thematic flavour and strategic complexity through cards, which bend or enhance the rules. So, for instance, all characters are capable of dealing critical hits (called "surges") but each character's surges have different effects -- and these effects are all set out clearly on their cards. This system adds depth without complexity. (The army lists of Bolt Action or the battle boards of Saga are other ways giving your army unique abilities, but I find that these mechanics can get convoluted and tie the players down to a rule book). But my favourite thing about imperial Assault (besides STAR WARS) is the way they handle luck. Many (most?) skirmish games depend on a 6 sided dice (something that goes right back to Rogue Trader). The main advantages of 6 sided dice are that they're simple and everyone has some. But there are problems: the d6 creates a highly random system (since there is no curve, as you would get with rolling two 6-sided dice for a total between 2-12). Plus, even the smallest modifier (+1 or -1) changes the odds a great deal. The result is a game without much nuance, and where the players are dependent on luck to kill or preserve the most important models on the table. Imperial Assault breaks out of this paradigm by using a simple solution: customized dice. The game features a variety of differently coloured 6-sided dice to determine attacks, each with its own combination of pips representing attack strength, range and critical hits. The pips are distributed in a way that softens the naked randomness of a roll between 1 and 6 (for instance, no attack die has a blank face, and no die has a face with more than three pips on it). As a result, while luck certainly plays a roll in the skirmish game, most attacks deal a fairly predictable amount of damage, giving the players more scope to focus on strategy and card-play. 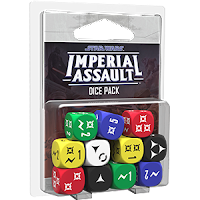 What are the drawbacks to Imperial Assault? Well, certainly cost is one. The game itself is expensive ($99 USD), and the additional miniature packs are not cheap either, especially considering that the figures are neither resin nor metal. Also, the range of miniatures is limited. To date, there are only 22 different miniatures sculpts (with about 10 more sculpts in development). I hope Fantasy Flight picks up the pace -- but given their commitment to so many other games, it's unclear if this will happen. A more significant problem flows from the game's very strengths. The dependence on miniature-specific cards means that your investment in the game could evapourate if and when Fantasy Flight Games decides to release a second edition with new rules. (Something like this happened when Imperial Assault's sibling game, Descent, transitioned from the first to the second edition. Fantasy Flight ameliorated the situation by releasing a "conversion pack" that issued new 2nd edition cards for the old 1st edition miniatures). This risk, of course, is not really a problem for historical wargames like Bolt Action or Saga, where an army of Saxons can always leap from one rule-set to another. Good review mate, the cost really did put me off this game. I have noticed a trend with games over the last few years though is too make you buy game specific dice (SAGA, Bolt Auction, X-Wing to name a few) which is a tad annoying and racks up the cost. The SAGA dice and Bolt Action dice are especially bad in my view, in that they don't come with the rule book (and they are *really* expensive). WIth Saga, at least, the dice are a nice artifact with good art design (as are the measuring sticks and fatigue counters). But yes - Imperial Assault is pricey. I feel like FFG has surpassed GW in finding ways to separate gamers from their money. But, at least for me, I feel well compensated for my losses. Ahhh, Matthew, I was enjoying all the pretty pictures of your nicely painted miniatures from this game, but I never had even the slightest desire to explore this thing any further...until now! Your post has me excited to try this game. More so, simply to use that Darth card! Darth Vader is *so* much fun. (SO much fun). 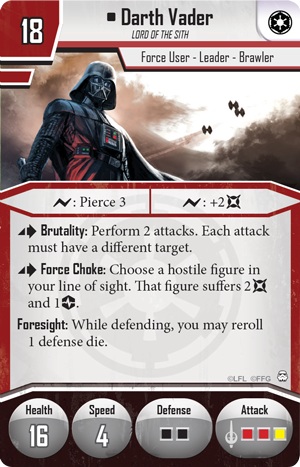 Sully, you've been naughty, I briefly flicked though the cards and found the points to deadliness combo to be Vader and the Imperial guard who basically just stand around soaking any hits that could possibly cut down the Dark Lord. It would be a great deal of fun though to use him in Skirmish modes to replicate canon such as the battles aboard the tantive 4 in which Vader must make contact with the ambassador by the end of turn 6 or all is lost etc. Great write up as always, excellent painting as always, and excellent photography as always. What a mensch! Oh and showed my mum your moorcock vs Tolkien article. We must talk soon. You are exactly right - Vader and the Imperial Guard are a killer combination. What makes them even deadlier is having a bunch of weenie Imperial Officers in their rear, since they have a special ability that helps get Vader (and his lightsaber) into position. I'm very curious about what your mum (!!) had to say about Tolkien vs. Moorcock. You have peaked my interest.